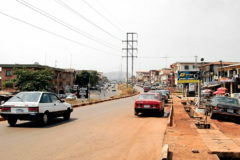 I conceived of the idea for Hotels.ng in early 2012. 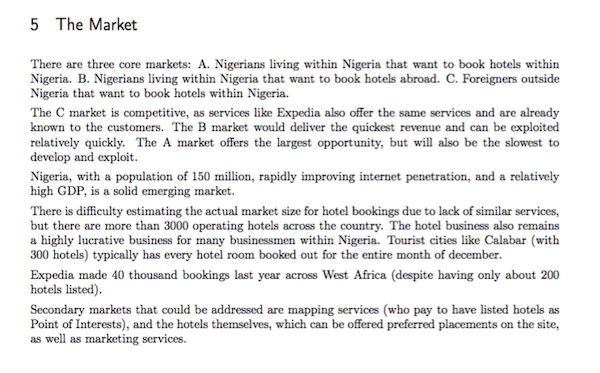 I started working on it then (it was called hotels.com.ng), made a beta, and then went out trying to raise money. I knew next to nothing about raising money. One of the first investors I approached was Rocket Internet. I sent them a plan with the opportunity – they never replied that email. I recently stumbled across the pitch, and I thought – it would be interesting to see what has changed between what I thought then, and how the market is now. 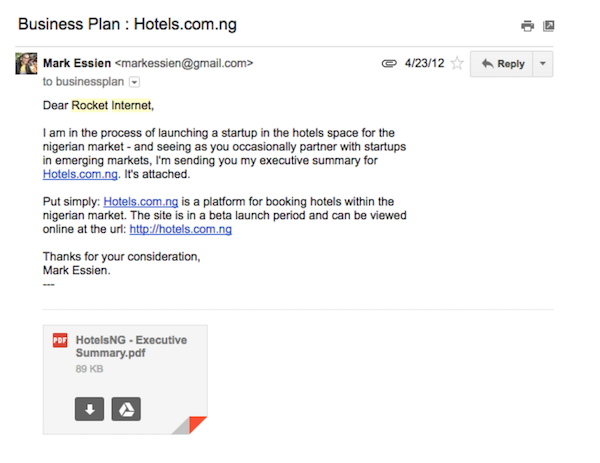 This is an analysis of my 2012 pitch for hotels.ng to Rocket Internet. The document was a PDF broken up into sections. So basically, a short business plan, not a pitch-deck. Concept is still pretty much the same. 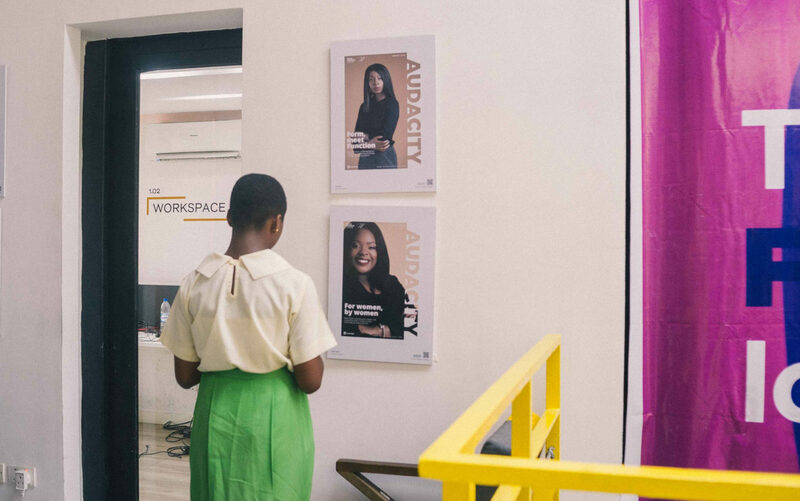 Main difference is that I had thought then that Abuja would be the big place for tech startups in Nigeria. I was wrong. 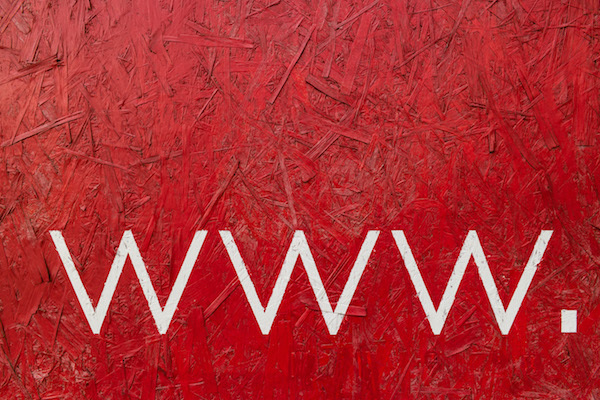 At this point, the website was getting 200 visits a day. That’s just a small fraction of what we are doing today, but I was very proud of it. 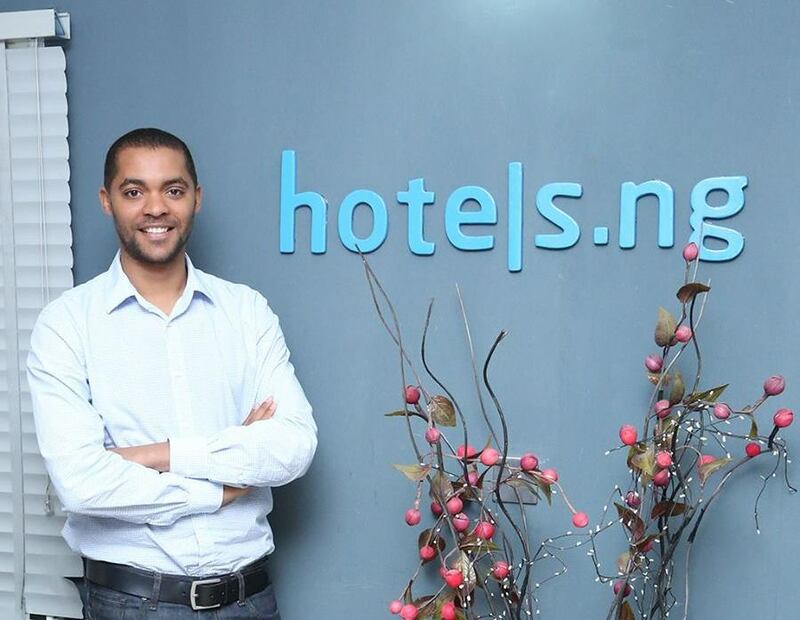 In that first iteration of Hotels.ng, sign-up was the thing you were pushed to do, not book hotels. 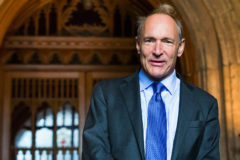 How did I list 1800 hotels? I was helped by Kanayo (from AfroBus) who just randomly decided to send me a big list of hotels. Till today I don’t know why he was so kind. My timing estimations were very good. I still agree 100% with my thoughts then. I was wrong in thinking the B market would be the fastest to develop. It was actually the A market that developed the quickest and represents the bulk of our revenue now. C is the second biggest with B being the smallest. All the secondary, non-core businesses did not pan out, even though we tried them at one point or the other. You can get every other thing wrong, but if you get your user acquisition strategy right, you survive. The thoughts here were spot on and kept us alive for many years. The actual average hotel room price is N11,000. I thought there were only 3000 hotels in Nigeria (there are actually over 9,000). Generally, my calculation was good here, but the 40% monopoly figure was very optimistic. I also did not quite understand the complexity in getting a positive ROI on marketing spend. The margin estimate was solid though. 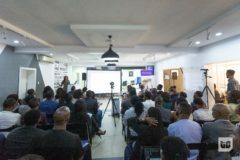 My capital ask for a seed round in Africa was very ambitious, but it was the right amount to ask for, considering the scope of the project. If we had received that amount as a seed investment, I think we would have learnt a lot of bad habits very early. I’d rather have received a smaller round, then followed it up with this amount 6 months down the road. 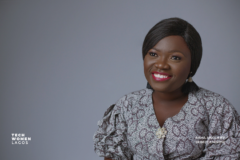 Generally, I don’t think my thoughts around the business were particularly wrong – the important things were correct, and that’s what kept Hotels.ng alive and allowed us ultimately grow to become a big business. This post first appeared on Mark Essien’s blog.